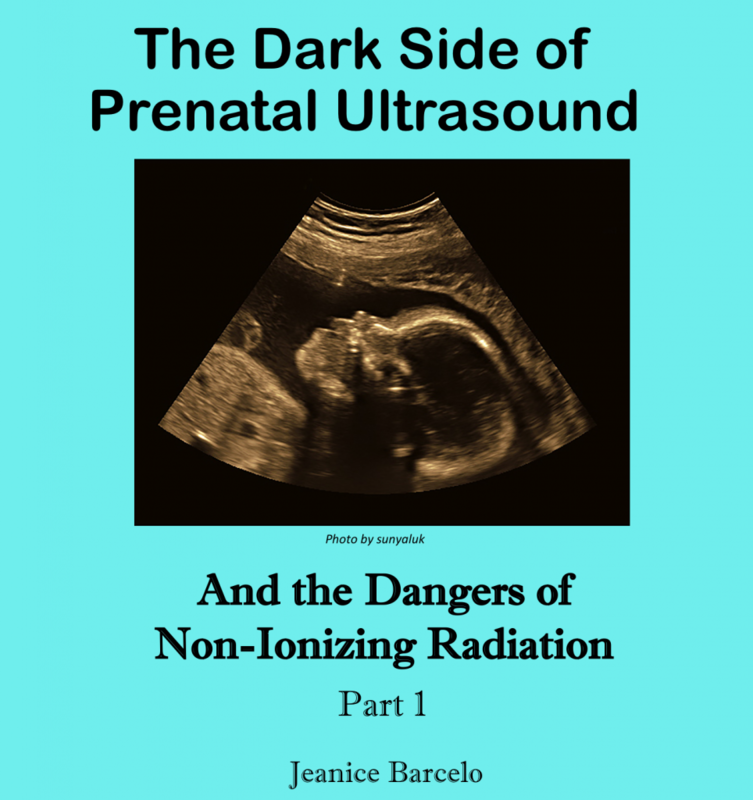 Dear friends – I am excited to share the news that Part 1 of my book, “The Dark Side of Prenatal Ultrasound and the Dangers of Non-Ionizing Radiation,” is now available in PDF form. I have decided to release the first half of the book immediately for multiple reasons, but mainly because I feel an urgency to get the information out to the public so that babies and children might be protected from further harm. 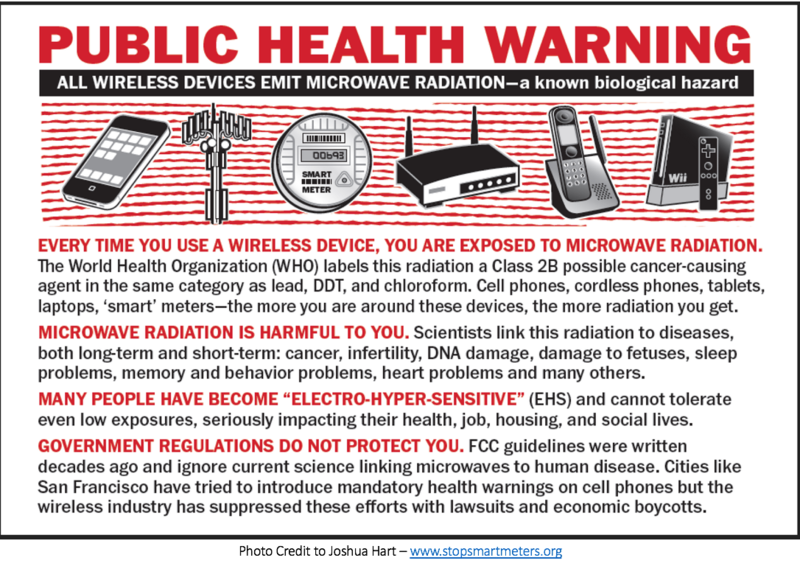 The threat we are facing from radiation exposure is very serious and 5G is closing in at warp speed. I am not exaggerating when I say that entire genetic bloodlines are at risk of becoming extinct if we do not deal with the radiation issue now. Please understand that prenatal ultrasound is part of the radiation issue and our developing babies are at great risk of being born with some form of genetic damage from exposure to this technology. I am hoping that the information I have shared in Part 1 will awaken people to the facts and motivate them to make changes right away. Is Non-Ionizing Radiation Really Safe or Have They Been Lying to Us All Along? The last chapter is 70+ pages in length and covers technologies like cell phones, cordless phones, wifi routers, smart meters, solar energy, and the threat of 5G. This chapter is a must read for those who wish to learn the facts about these dangerous technologies. Please click on this link to purchase the book. FYI – Part 1 is approximately 250 pages in length plus an additional 100 pages of endnotes with more than 1200 citations (and that’s just the first half of the book!). I am hoping to have Part 2 available later this year. It is still being written, but so far it contains personal stories from parents who received false positive ultrasound diagnoses (ultrasound is notorious for false positives) and the impact this had on their children and their families. Part 2 also contains a detailed chapter on the link between ultrasound and the resulting genetic and brain damage that is contributing to the autism epidemic (as well as other neurodevelopmental disorders). Another chapter of Part 2 explores the increasing rates of infant and early childhood hearing loss (babies can hear these frequencies and they are LOUD) and the fact that manmade ultrasonic (and microwave) frequencies can seriously damage the ears. Additionally, Part 2 addresses childhood cancers like leukemia and brain cancer and the fact that ultrasound can contribute to the development of cancer and other radiation-induced diseases. The medical establishment is literally cooking our children with ultrasound, boiling the blood, lymph, amniotic fluid, cerebrospinal fluid (that totally surrounds the brain), and more. Sadly, technologies that we use in our daily lives, like cell phones, cordless phones, wifi routers, baby monitors, microwave ovens, etc., are also cooking us from the inside out. Most of these technologies are using the 2.4 GHz frequency that is known to cause infertility and brain damage. This frequency is used in microwave ovens because it maximizes the absorption of radiation in mammalian bodies. Hence, most of us are literally living inside of microwave ovens when we are surrounded by wireless technologies. We and our children are in great danger at this time. It is imperative for people to learn the facts. Part 2 of the book will address what we can do in our lives and in our homes to rid ourselves of this menace. The book will also make suggestions about what we can do to correct the biological damage that may have been caused by these technologies. PLEASE NOTE: I am using a new payment processor called Stripe due to the deletion of my paypal account. For those who decide to purchase the book – if you would be kind enough to email me once you have made the purchase, this will help me determine if my Stripe account is working properly and whether they are notifying me promptly of the purchases being made. Email me at jeanicebarcelo@yahoo.com. And thank you for your interest in, and support of my work. If you know of others who can benefit from this information, please direct them to this webpage so that they, too, can purchase the PDF. PS – All those who purchase the PDF will receive a $10 discount off the price of the paperback.